Hello my lovelies. Fall is officially on its way. I woke up this morning and there was a nip in the air and the temperature stayed mild all day. While I love it right now because I can cruise with my windows down and my stereo blasting Queen as I’m on the highway, I’m just not ready for Fall yet! I still want summer colors and that lackadaisical summer feeling to continue on for just a bit longer. I’m sure you’re eager to see these so I am not going to ramble forever. 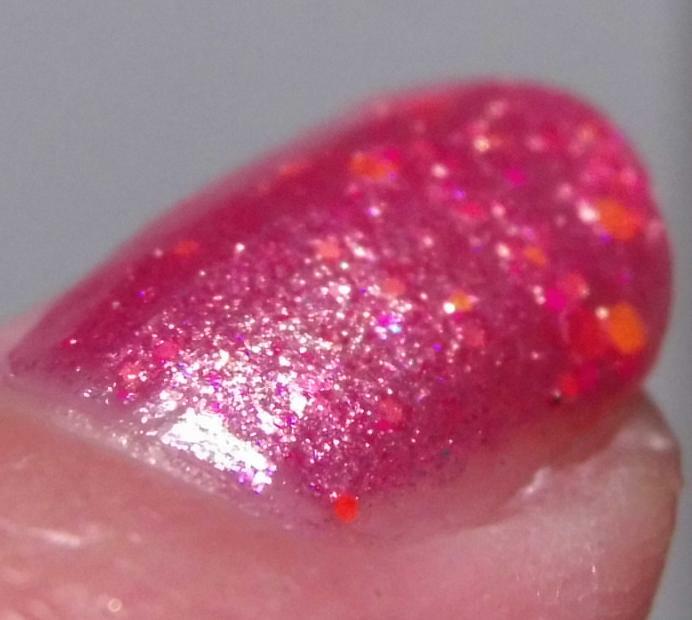 Let’s just say that I’m going to show you some fantastic eye-popping neon goodies from Alchemy Lacquers, and the best part? She just restocked them yesterday so they are available RIGHT NOW. 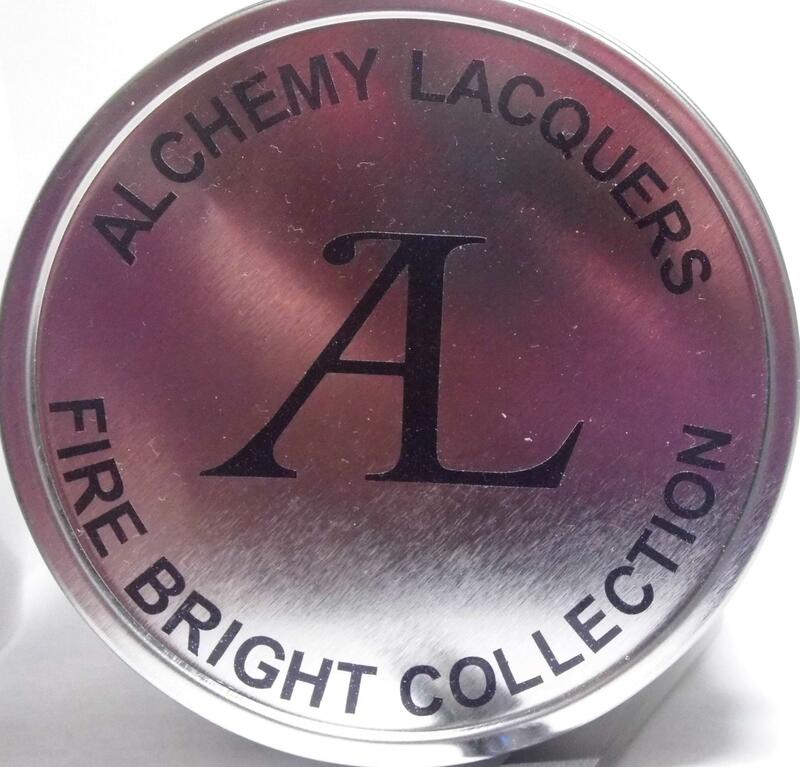 Imagine my delight when I opened up my most recent package from Alchemy Lacquers and saw this adorable round tin staring up at me. I couldn’t wait to get that thing open because I already knew what was in it! 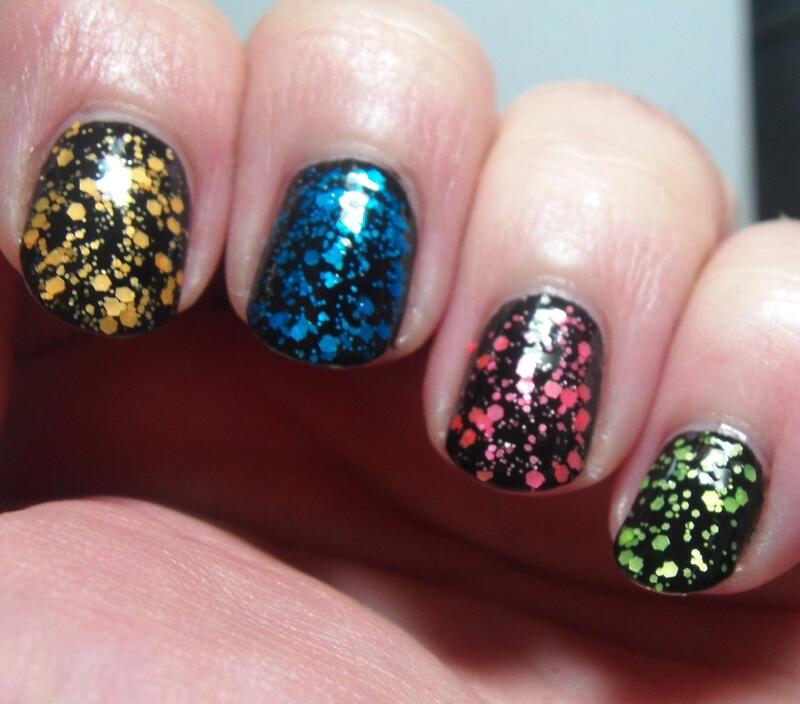 Fireworks is a glitter topper with a mix of various sizes of black glitter with a mix of neon glitters thrown into the mix. 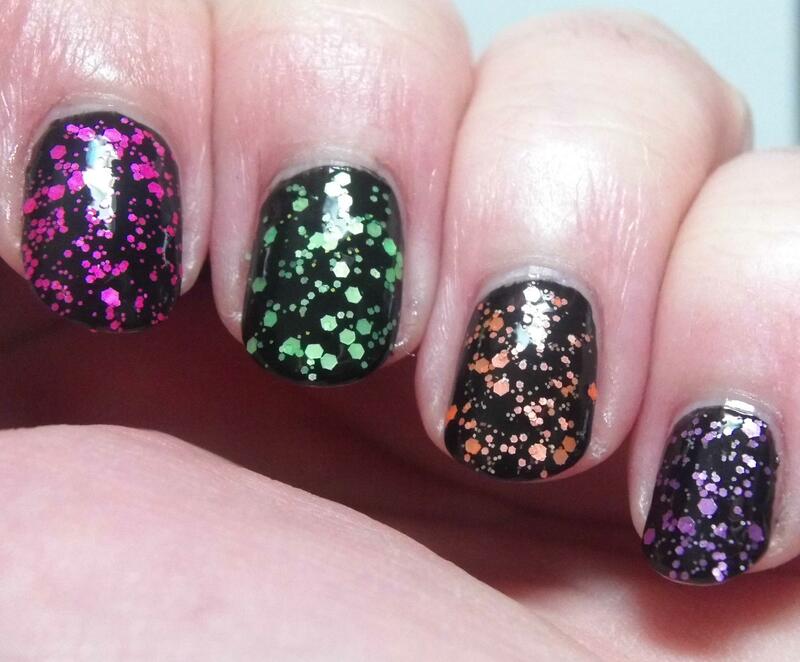 The glitters are all fairly small but the variety of sizes adds interest and depth! Awesome right? Wait, you want to know about application, formula, etc? Ok well I’m relegating that information to the end of the post because each and every polish I show you today applied exactly the same way. Talk about consistency! 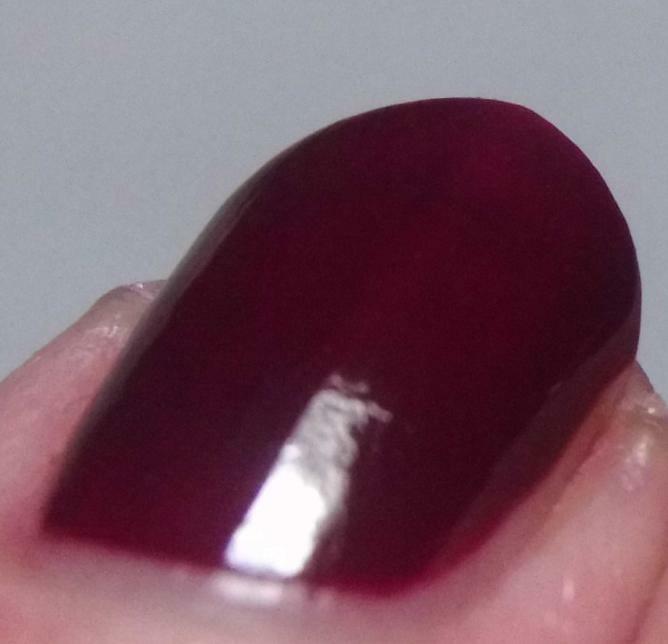 Honestly quality is one of those things that I just take for granted with Alchemy Lacquers. Pyrotechnics is the sister to Fireworks! 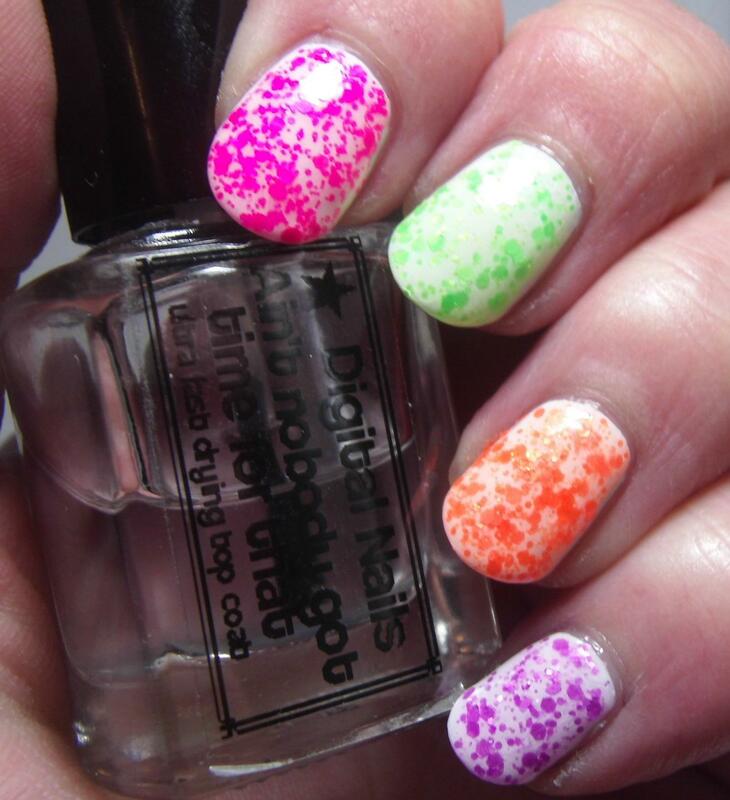 Instead of a glitter topper with black and neon glitter, it’s white and neon. Yes, I know you can see it but I still wanted to say it! 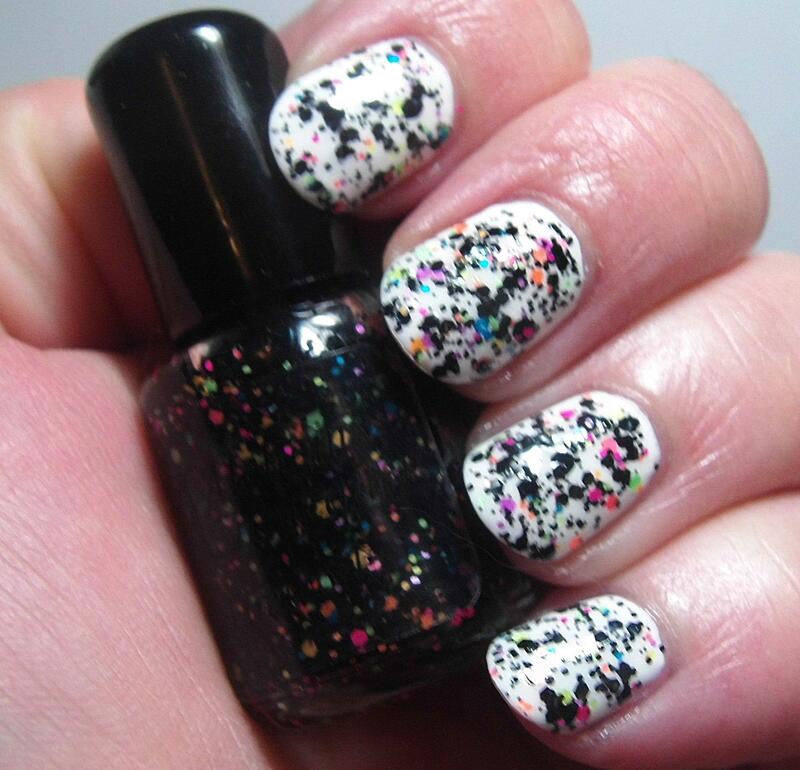 Same idea as Fireworks, multi-sized white glitter and a burst of mixed neon glitters. Can you pick a favorite from these? 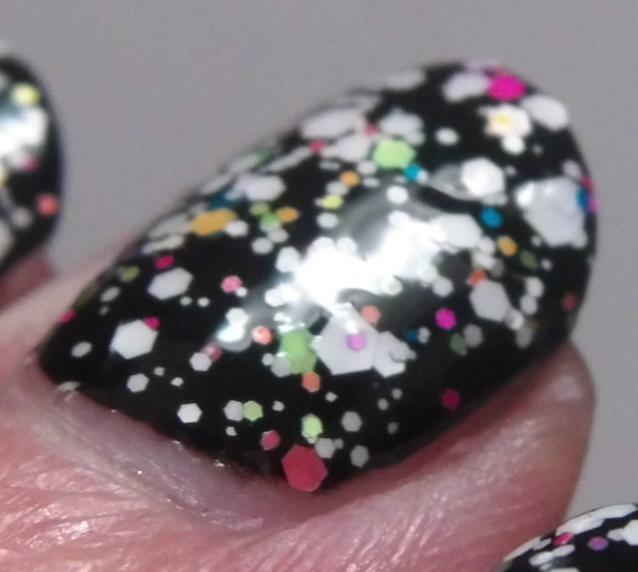 No neither could I. I even donned white and black nail polish to show you these toppers (oh the horrors of plain black and white polish it’s so hard to get right!). 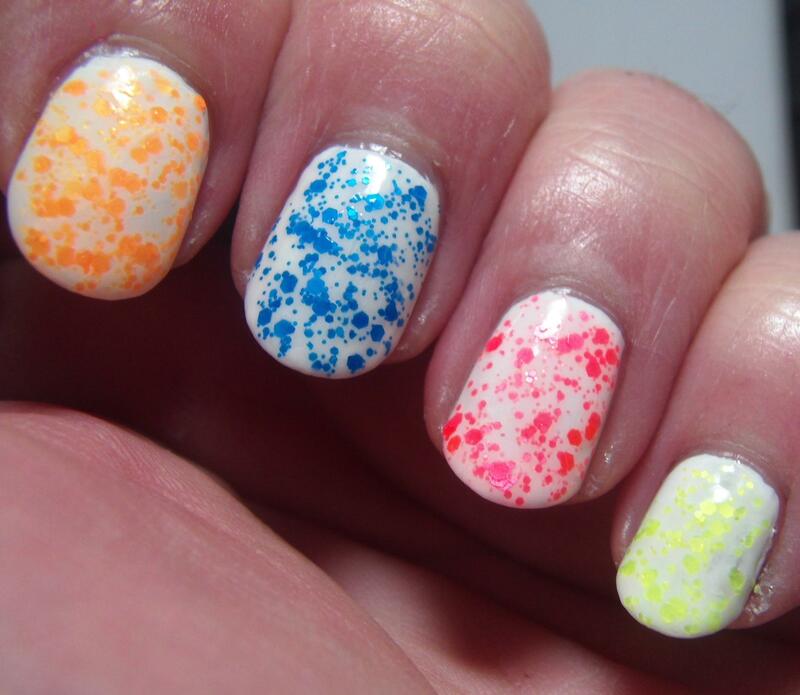 They would look good over several different colors though so experiment away! Each of the glitter toppers in the rest of the collection is named after a chemical compound that is used in…you guessed it FIREWORKS and PYROTECHNICS. How very cool is that?? 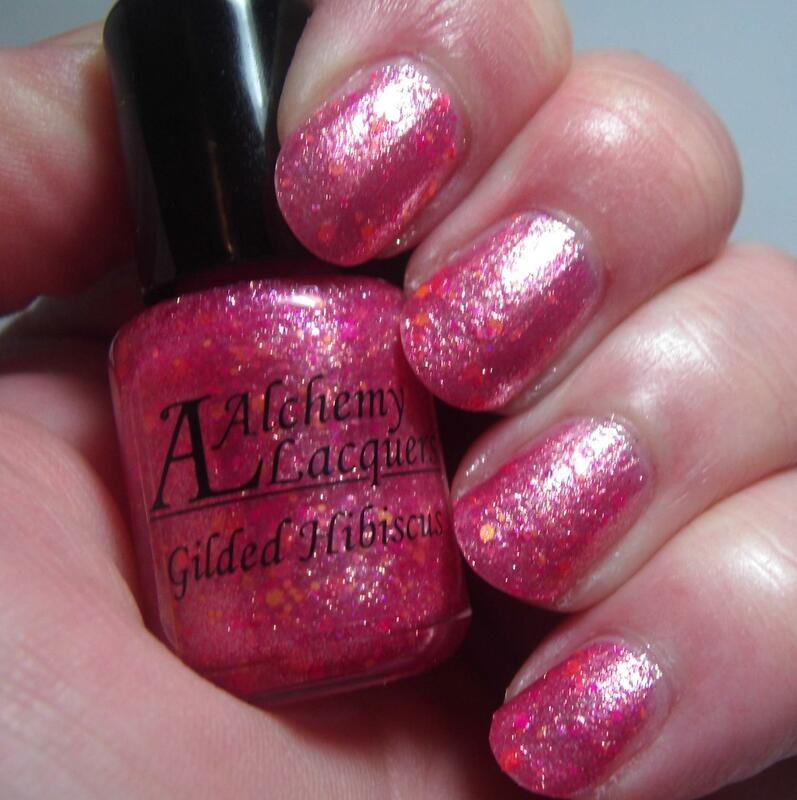 This is another thing that I love and adore about Alchemy Lacquers the themes are always well thought and exceptionally well executed. 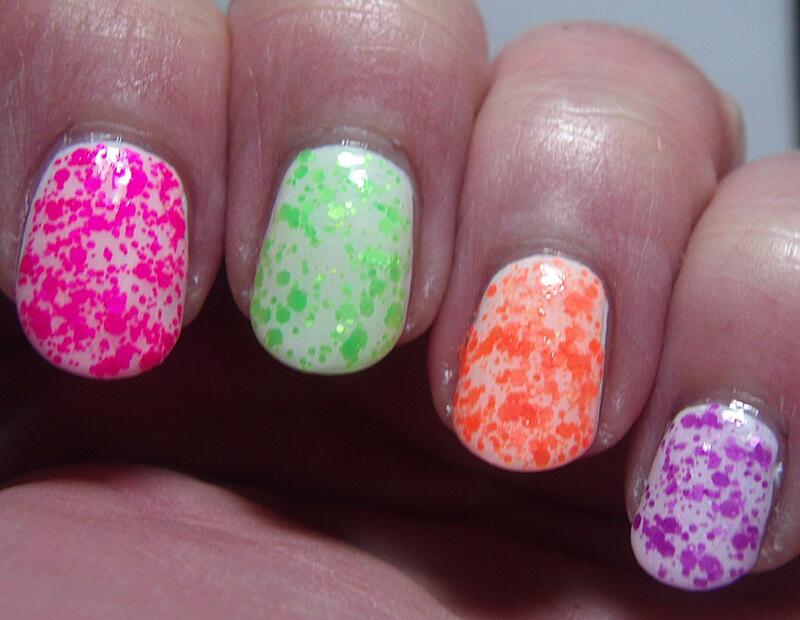 Each of this is a multi-sized neon glitter topper in one color in a clear base. LiCl is neon pink, CuSO4 is neon green, CaCl is neon orange, KCl is purple. 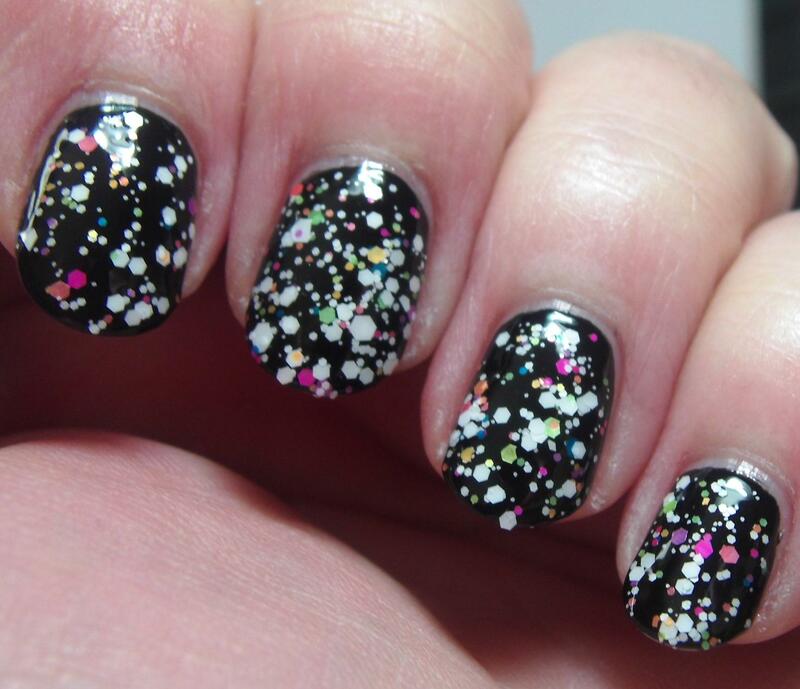 Also there are matte and satin glitters so it gives it even more dimension! I love that depending on the base you put them on you can get different looks. 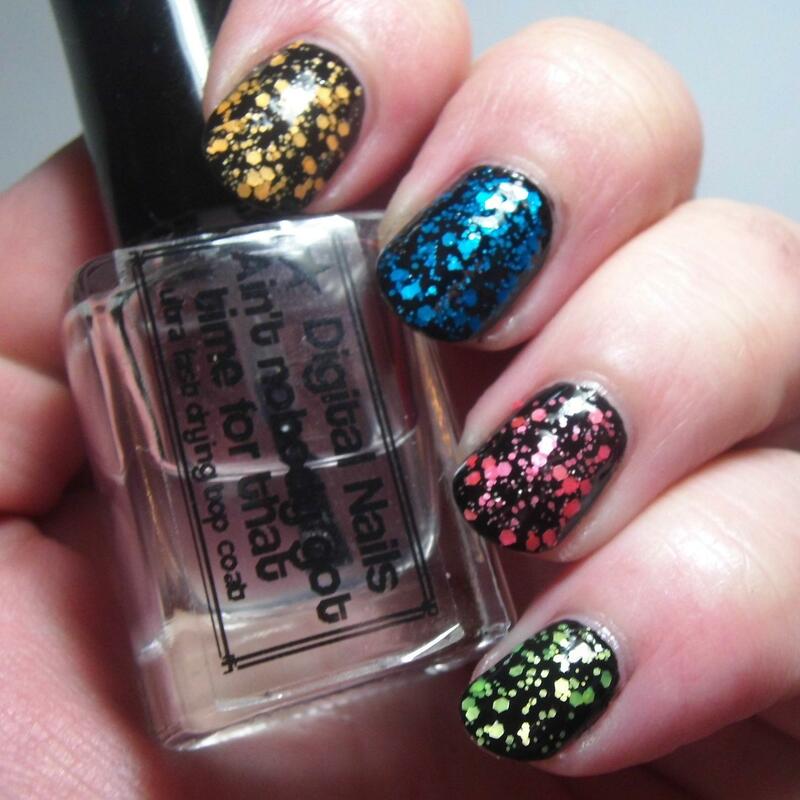 The possibilities for this collection are really endless when it comes to nail art as well! So much love for these glitter toppers. 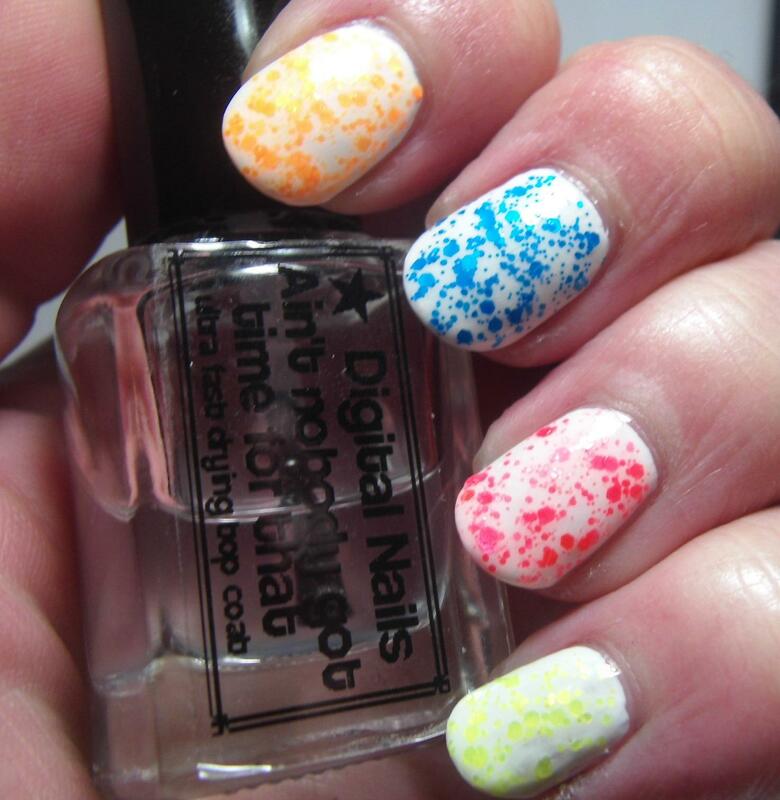 I’m totally doing a mega neon skittle mani (there are ten, count ’em ten, toppers in this collection) in the near future to try to grasp onto as much Summer as I can! NaNO3 is neon marigold, CuCl2 is neon blue, SrCl2 is neon coral, and last but not least is NaCl which is neon highlighter yellow! Now of course some do show up better on black or white depending on the color but I wanted to show you both because I could. I think that SrCl2 is my favorite one although to be honest I love them all! So many things that you can do with these, you can pair these with neon polishes of a similar color to create a neon monochrome effect or with contrasting colors to really rock out your 80s throwback tendencies. Whatever you decide to do with this collection would be bright and fun. The application of all the glitter toppers was exactly the same. I did not have to fish for the glitter at all. It’s suspended well and spread nicely. 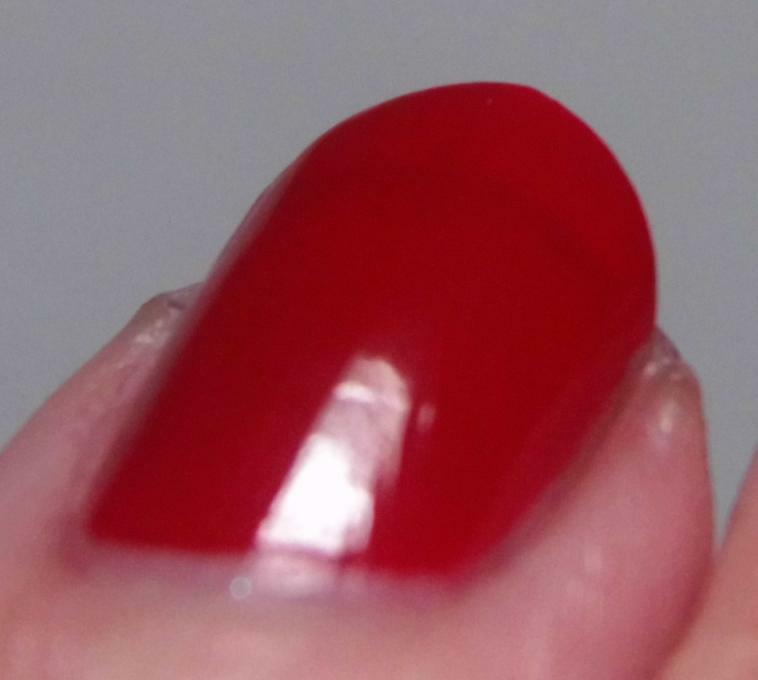 I preferred a bit of a heavier coat so I did lightly dab the polish instead of brushing which will give a subtler effect. 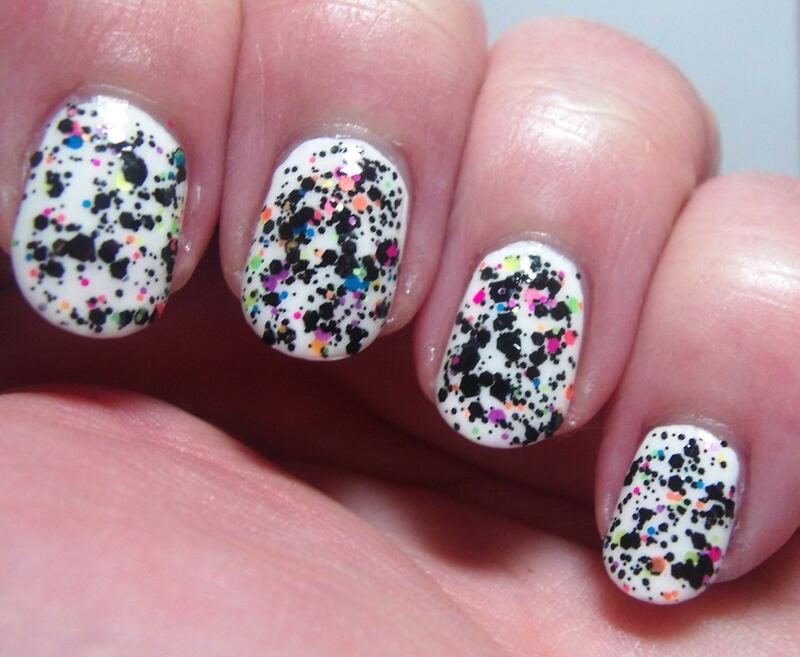 All pics show one lightly dabbed coat over two coats of white or black with topcoat. There you have it I’m clinging to summer like crazy. I love Autumn but when it starts to get too cold I am not a happy Relly! 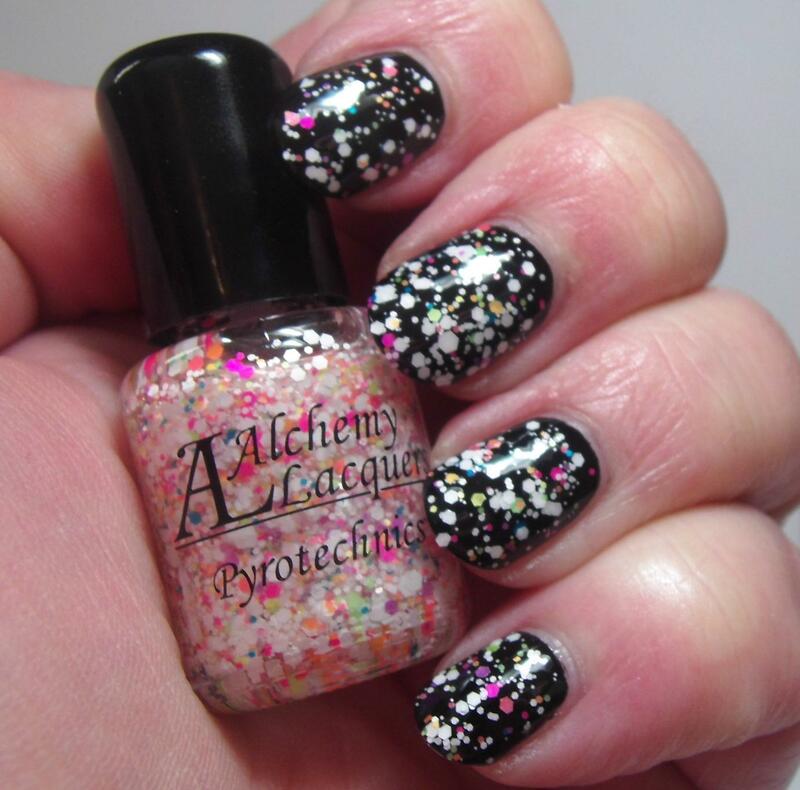 Per usual you should definitely check out the links below to follow, drool over, and get your own Alchemy Lacquers. I have some more stuff to show you soon but that’s for another day! Also go grab the Fire Bright Collection NOW it was just restocked yesterday! Fall is Almost Here! Review of Pretty & Polished Dusty Fall Cremes! Fall is almost upon us my dear readers! Hot drinks, cool days, sweaters, and gorgeous muted colors will be taking over before you know it! Ok, so where I live hot drinks, cool days, and sweaters don’t generally come out until Christmas (if we’re lucky). 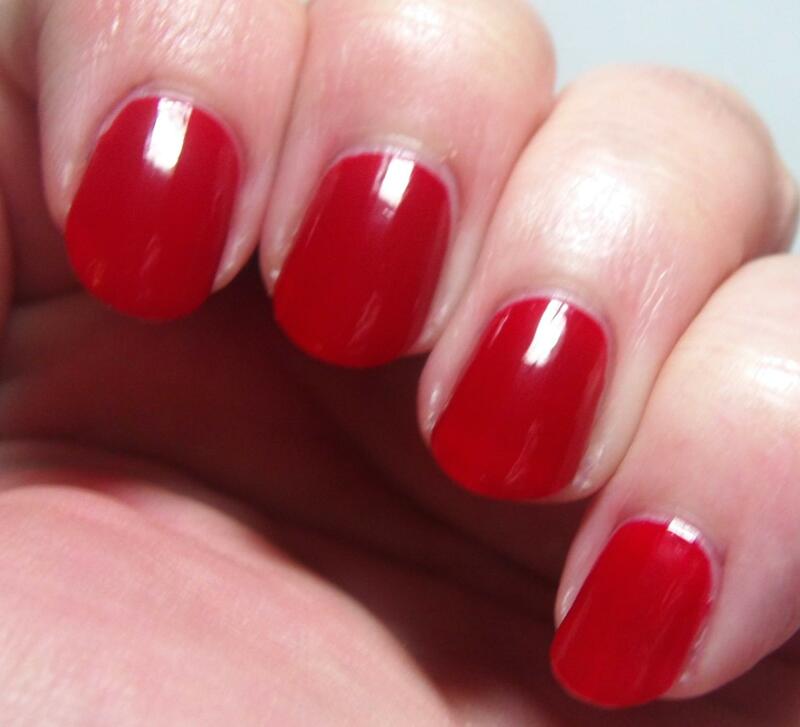 However, I still love good seasonal polish. I fully admit that there’s something in my brain that makes me crave muted earthy polishes for Autumn, glitzy jewel tones for winter, delicate and shimmery pastels for Spring, and OMG could they be any more Neon neons for Summer (For the record, I’m not over neons yet, I could really do those all year). 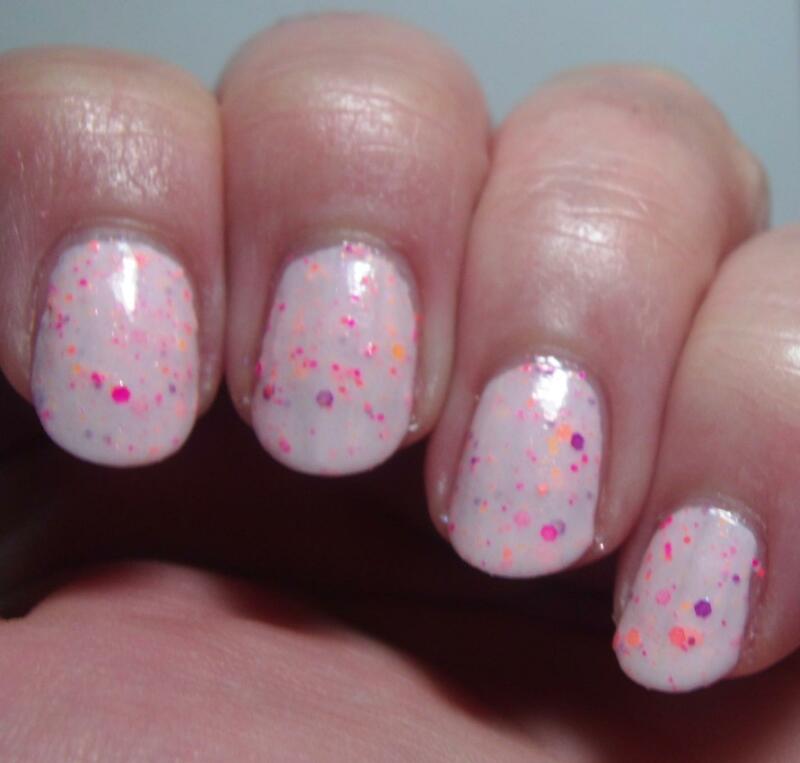 Another thing that I’ve been craving is CREME polishes. Now I know you’re saying to yourself, “But, Relly, I thought you were all about glitter and flakies?” You would definitely be right, I am. 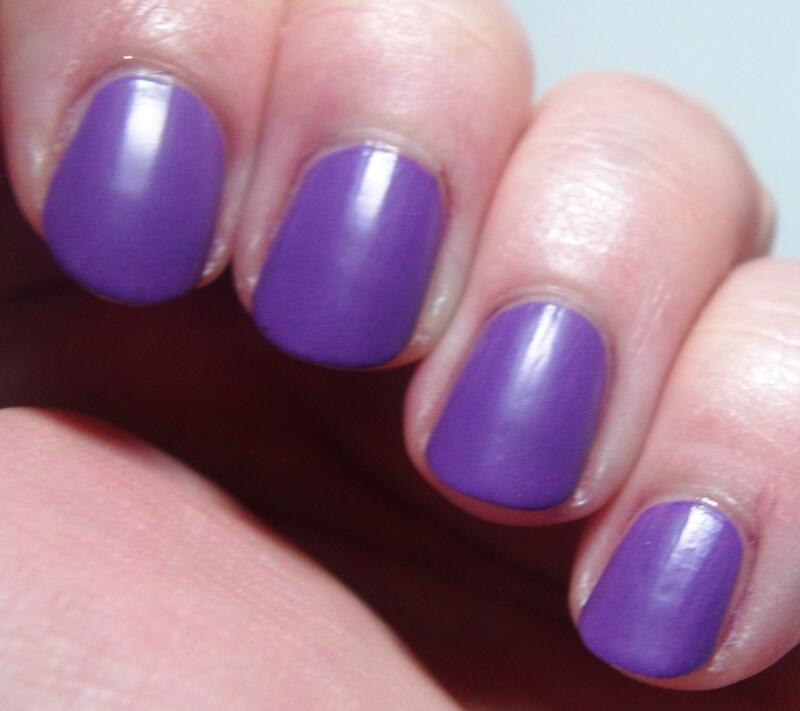 However, lately I’ve also been wanting that smooth gorgeous color that you can only get from good creme polishes. 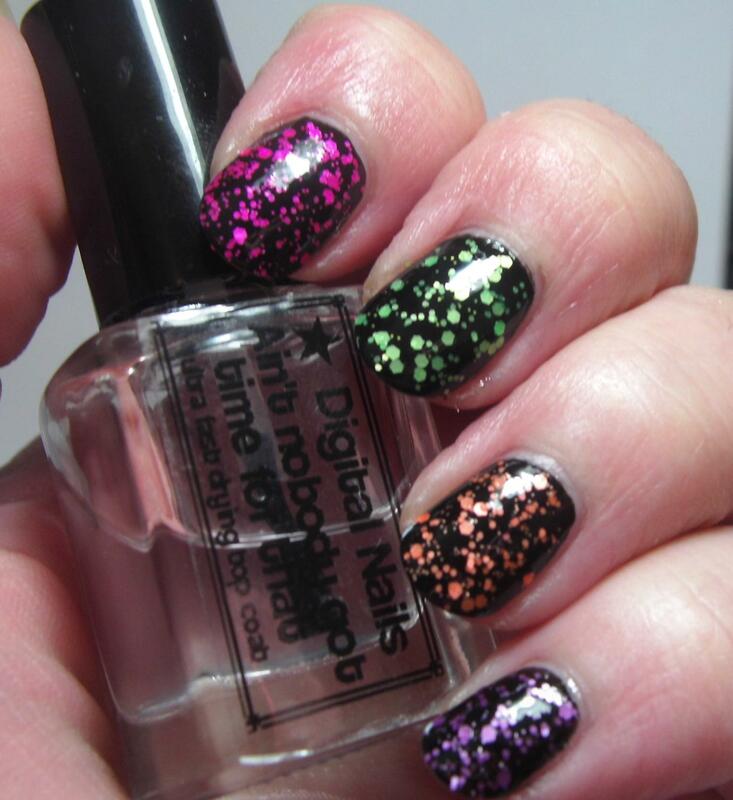 Plus, glitters need bases, and cremes are fantastic for nail art! 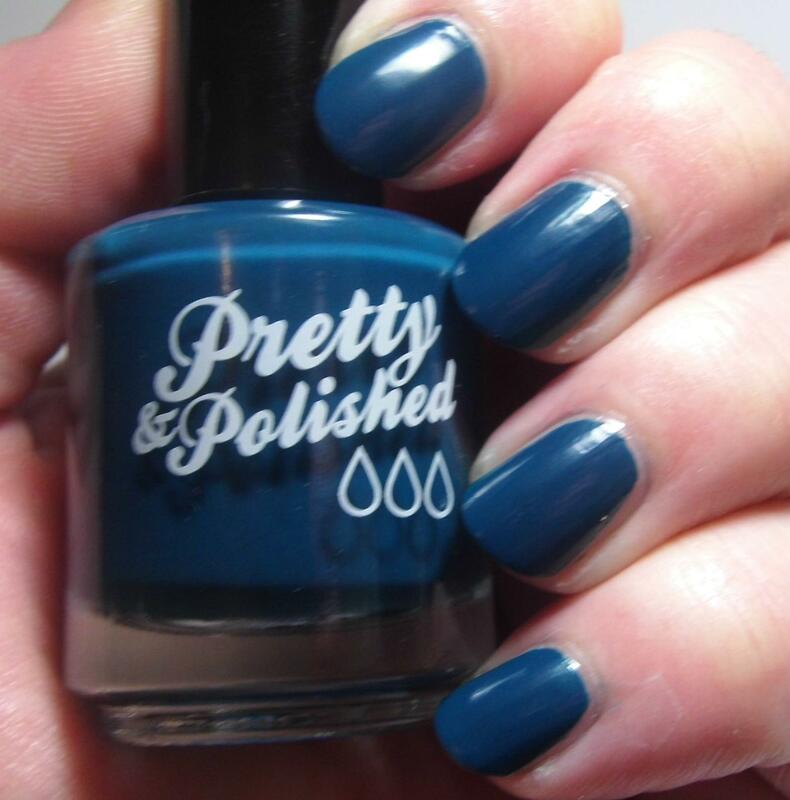 Luckily for me Pretty & Polished came out with a stunning collection of Fall-colored Dusty Cremes. I had the pleasure of trying out five of them, which I am going to share with you! 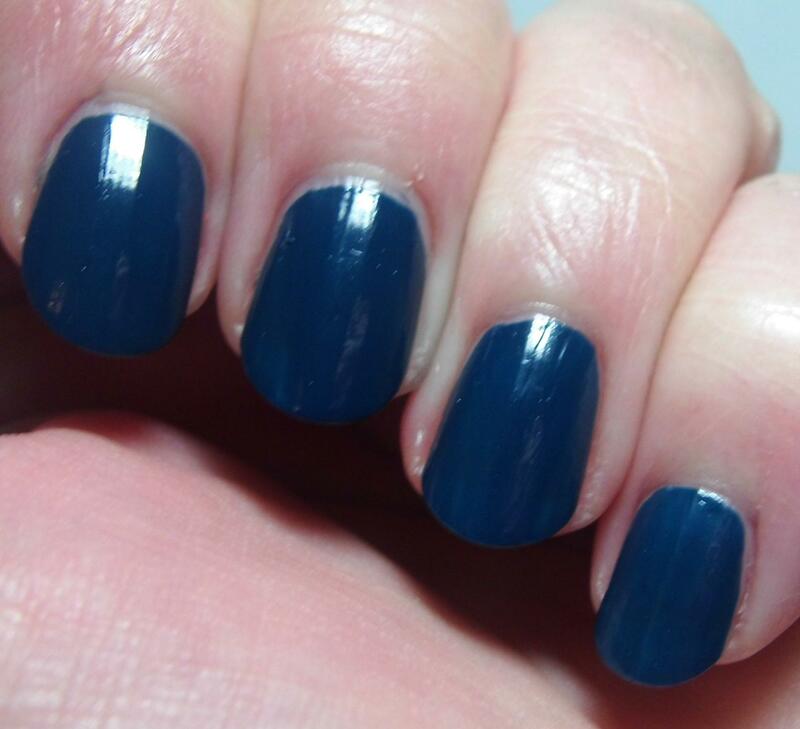 Anyone who knows me knows that I have a weakness for dark blue polish. 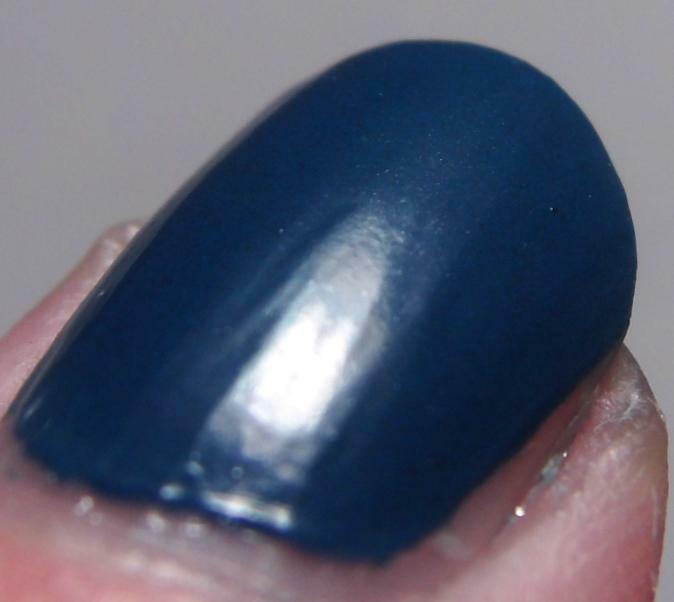 Dark blues and all shades of gray are probably among my very most favorite polish colors. 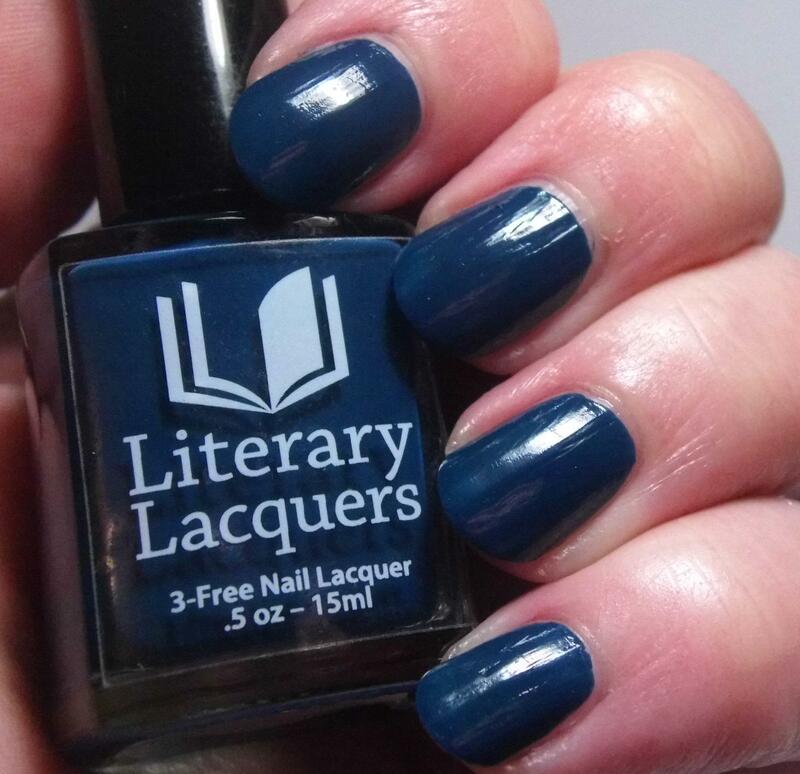 I can’t tell you how many various shades of dark or navy blue I have and I’m always delighted to add another shade to my collection (because they’re similar not the same…) This one is ever so slightly teal-leaning so it’s not a straight navy, which is just fine with me. Also, this polish is the one that conceals the “dusty” effect that each of these polishes have. Still love everything about this color and I will definitely be using it again! I’m going to hold off discussing individual formulas because in all honesty they were all so very very close in application. Such a pretty color for Fall. I love pink almost as much as I love blue. This is a rich dusty mauve pink and despite being a major Doctor Who fan I’m not alarmed at the color (It’s Mauve…the intergalactic color for danger). 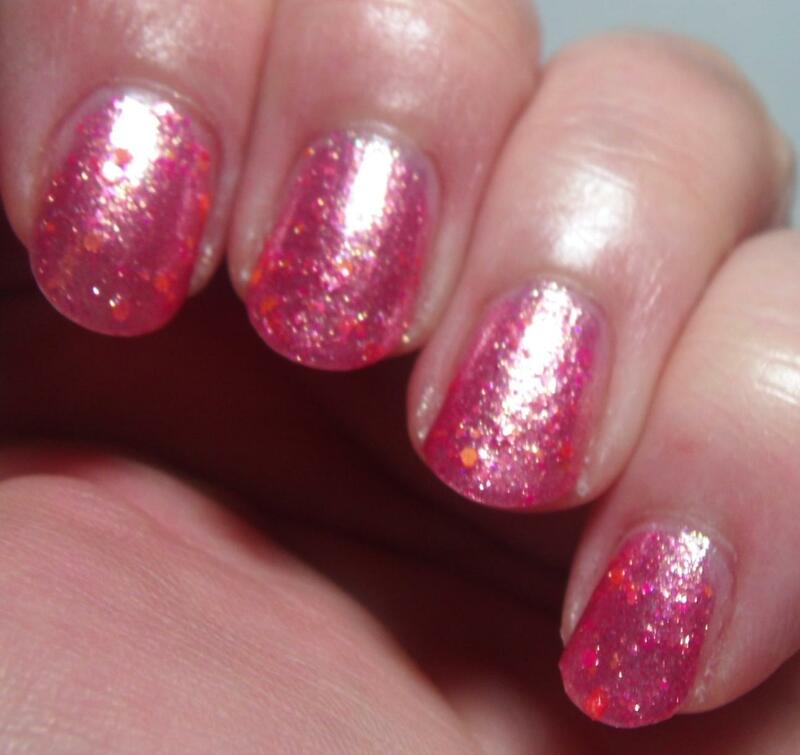 You can see the dusty effect in this polish and it’s like a light layer of dust throughout the polish. I don’t have a macro shot of this one because apparently the photography spirits were not with me and everything I shot came out blurry. 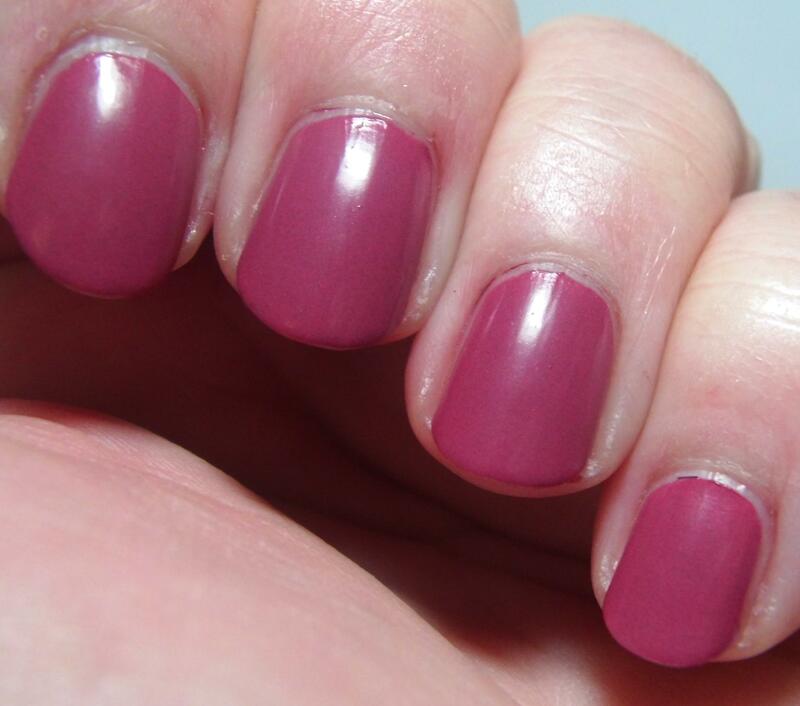 This happened with another of the colors as well – I’m tempted to say it’s the camera but honestly I’m no pro *grins*. I love this color so much. 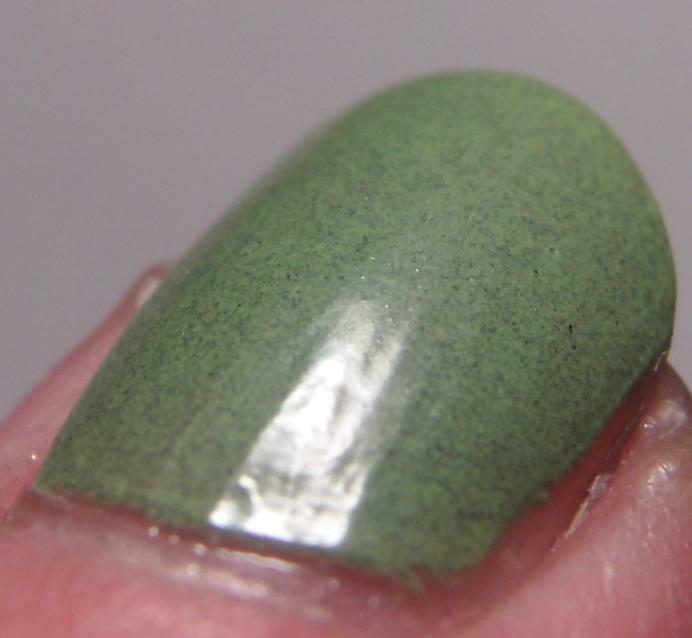 This is such a perfect green for nail art, to go with a lot of my glitter, and just on its own. 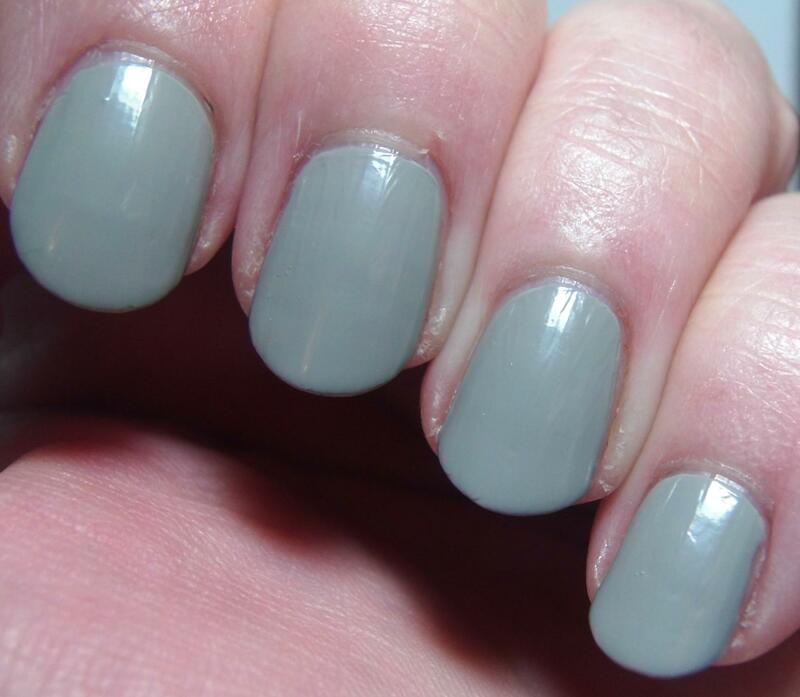 This color is almost neutral as well. 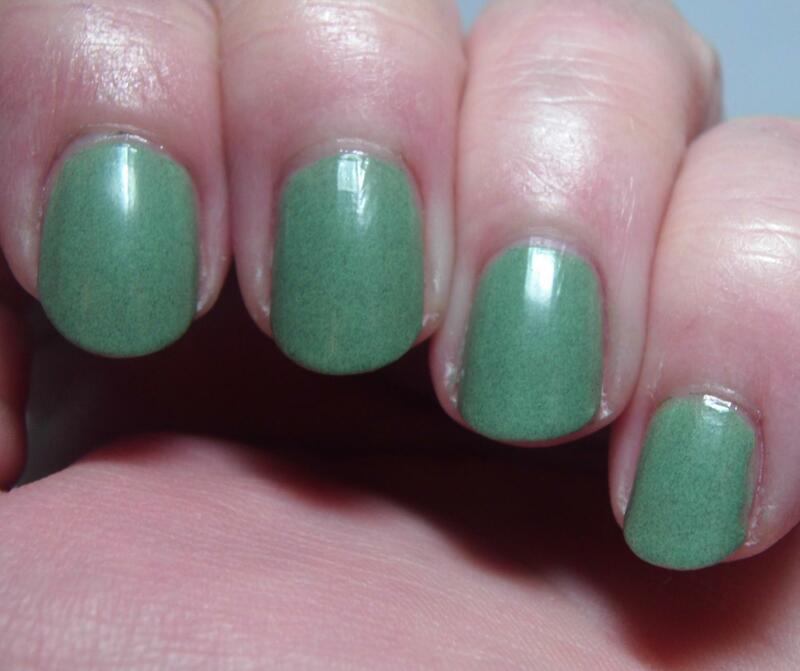 I say there’s a case to be made for muted earth toned greens to be neutral and I can imagine this in so many different manis. You can really see the “dust” effect here. It’s not quite speckles but kind of like speckles. I’ll admit this one fought hard to be my favorite. It’s right there in the color family that I am always immediately drawn to. 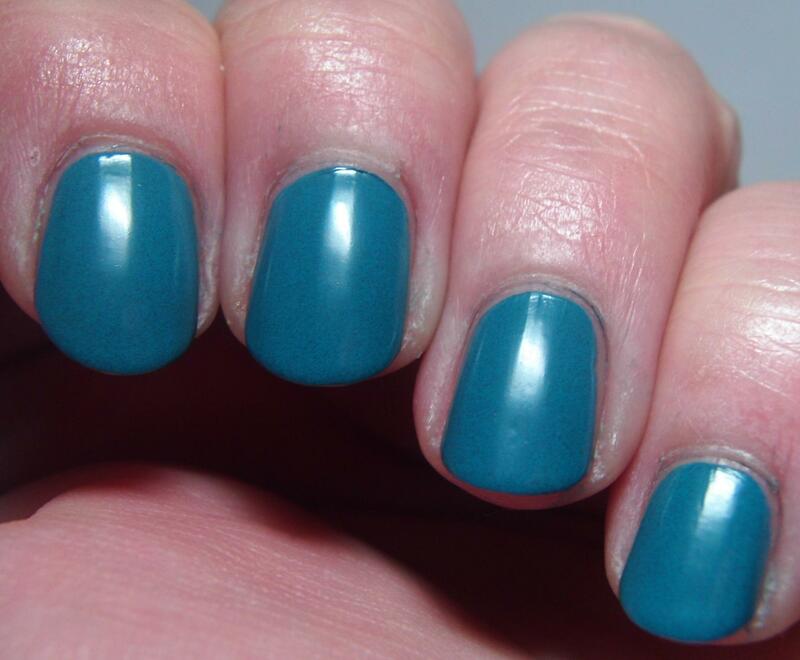 Gorgeous muted turquoise and it’s just smooth and creamy and everything I ever want in a creme polish. 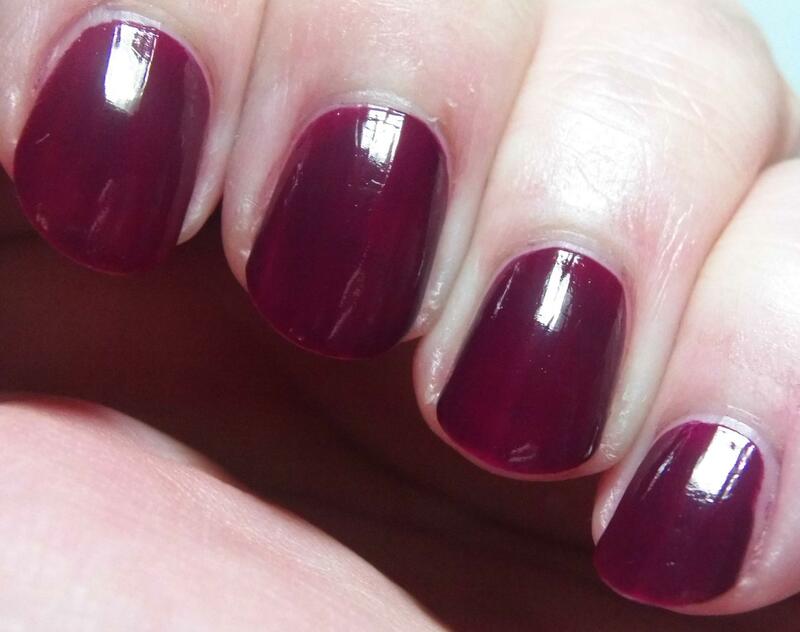 Pretty & Polished – Amethyst or Am I That? Now I know there are a lot of purple fans out there. I’ll be honest, I’ve not always been a purple fan. However how can you resist a color like this??? This gorgeous true purple is just stunning. I love everything about it! 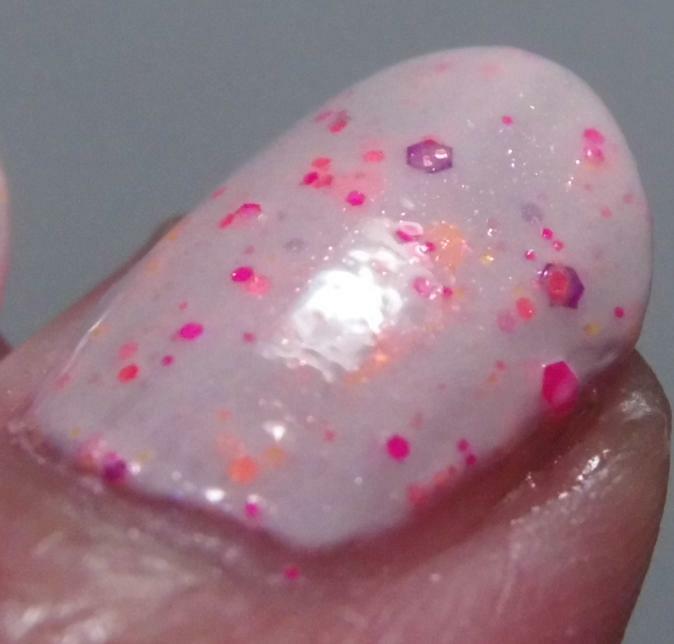 Let’s talk about creme polishes for a minute. 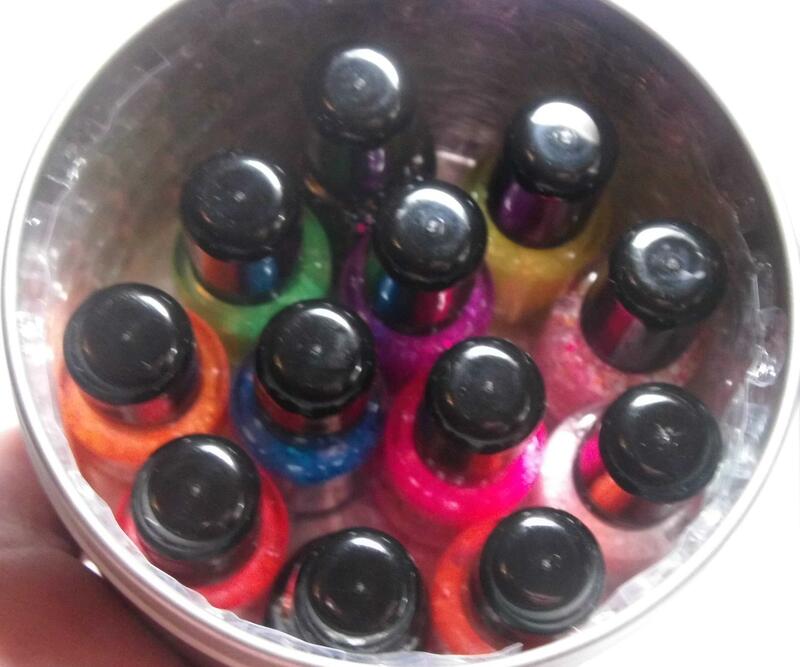 I really debated with myself as to whether I should show you these with topcoat (maximum shine!!!) or without. 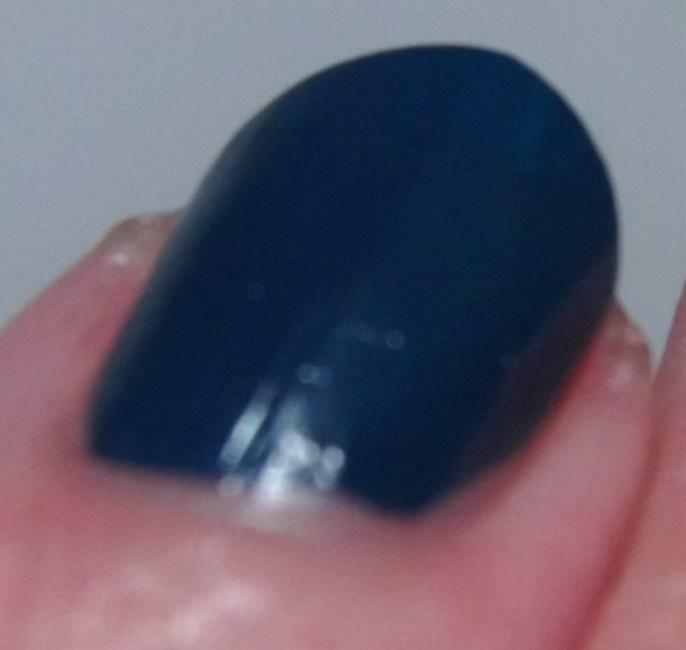 I finally decided that I would show you these without topcoat so if there were any formulaic issues they couldn’t be hidden by a glossy layer of topcoat. One of the wonders of topcoat is that it does cover a multitude of flaws. Without topcoat you would be able to see any drags, balding, streaks, or other formula issues for yourself. I felt that this would be the most honest representation of the polishes. And as you can see I had NONE of those troubles. They all applied beautifully and leveled out so nicely. 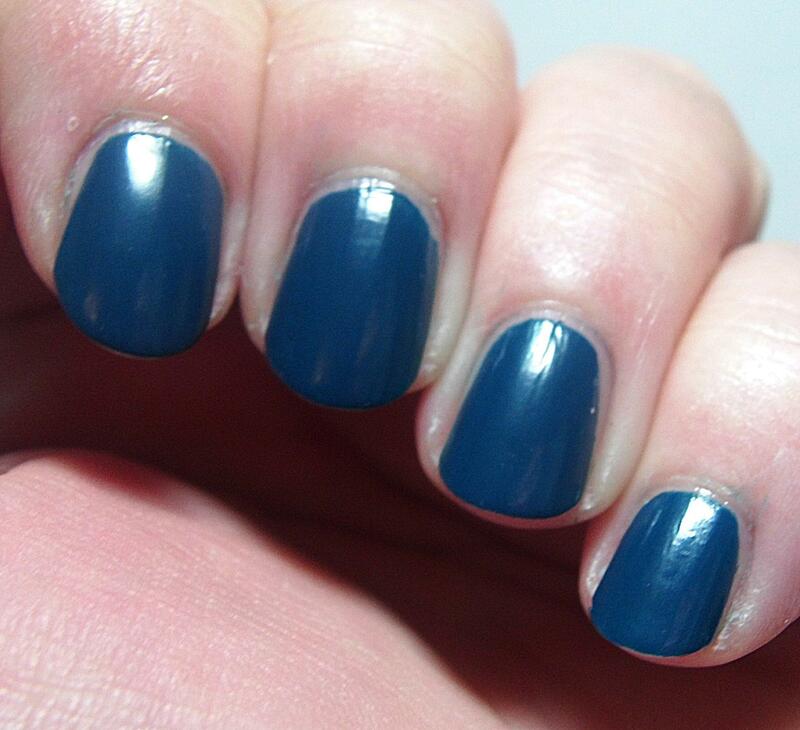 All of these pictures are two coats of the respective color without topcoat. Almost all of them could have probably been one coat. Only the green HAD to have two coats because it’s such a light color. These all dried to a demi-matte rubbery finish. I think this is great because it gives you two options, high shine with topcoat or the natural finish which could be very cool in nail art. The buzz over these cremes is tremendous. 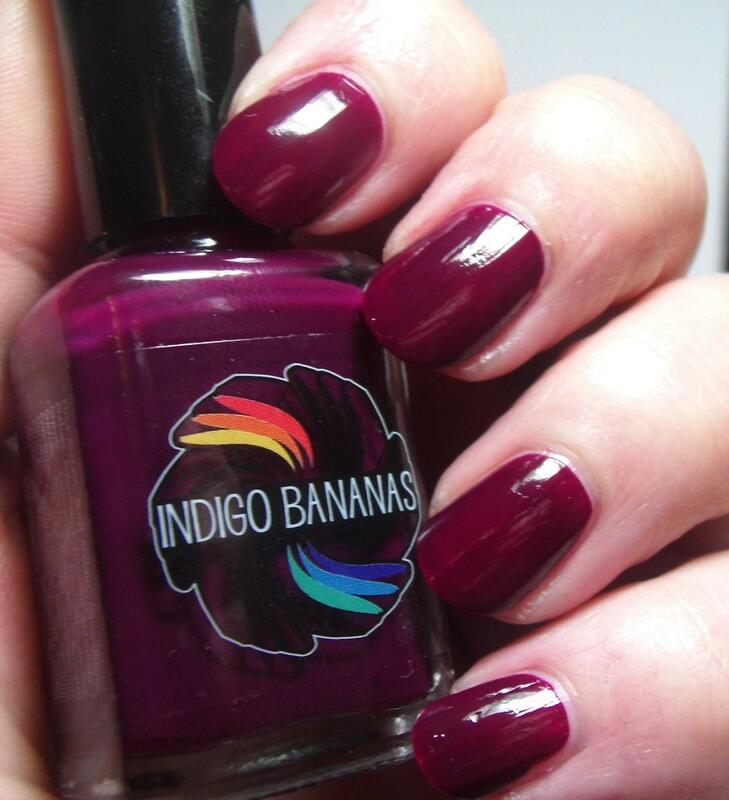 It seems that the Indie Nail Polish community is just craving cremes like I was. This is five of the TEN piece collection. 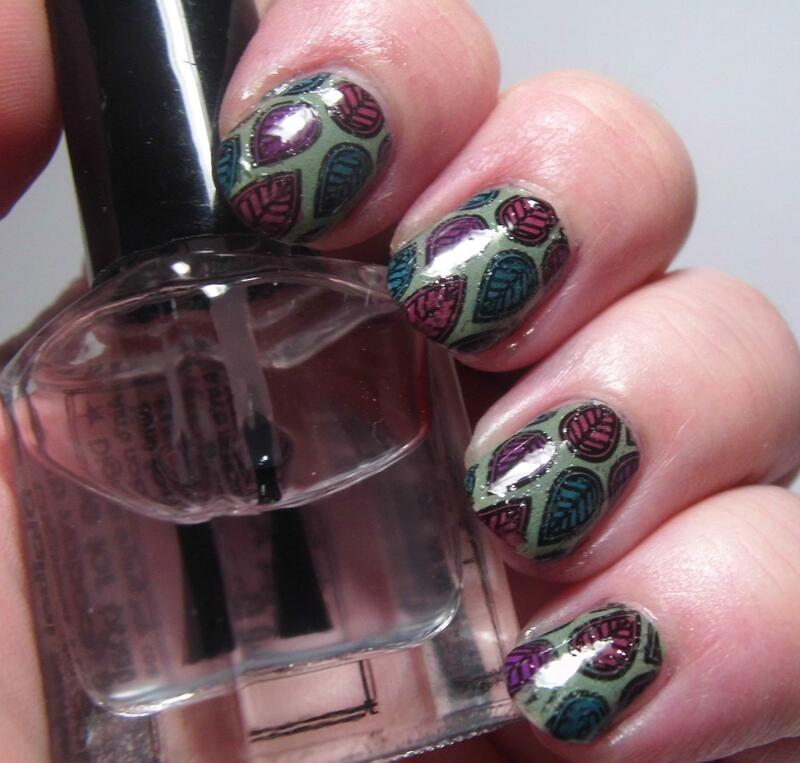 They work fabulously together and are perfect colors for fall. This collection will be available for purchase on September 9, 2015. You can pick up yours at the Pretty & Polished Shop (but don’t wait to visit the shop until then…Chels is running a Labor Day Sale from right now until September 7 at midnight. 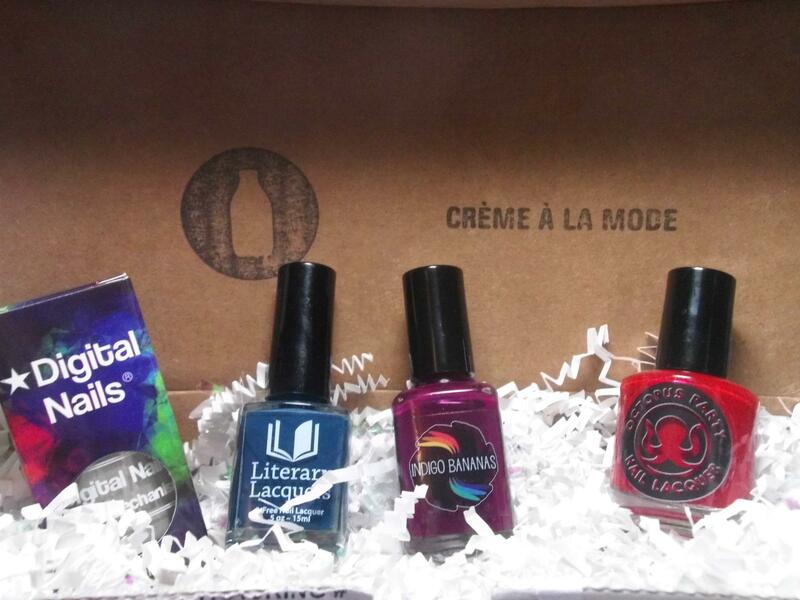 Time to pick up some of those other pretty polishes you’ve been eyeing. 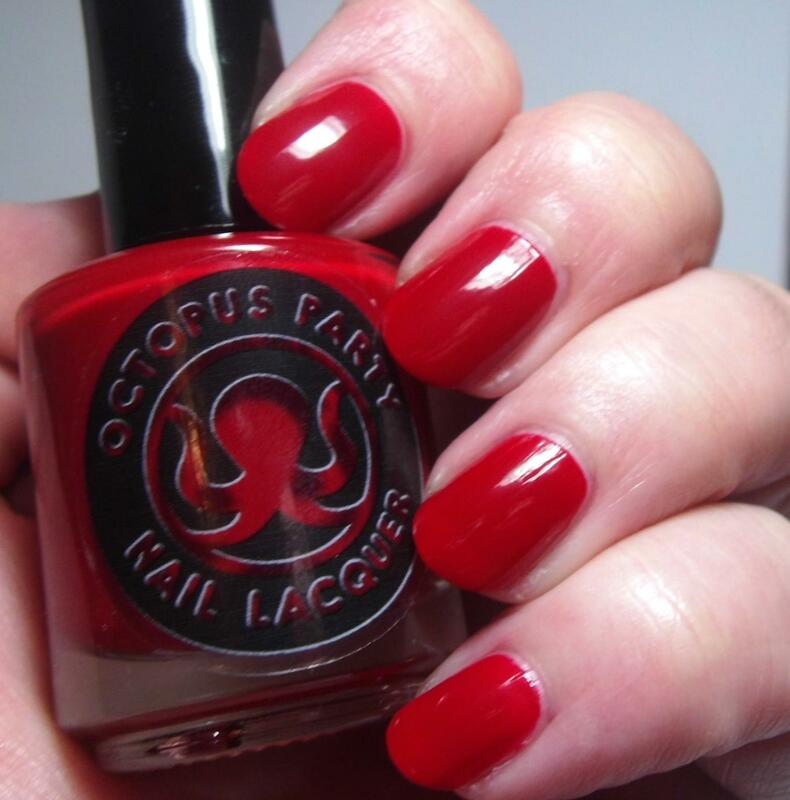 Use LaborDay25 to get 25% off of all polish!! That’s a killer deal right there!). For all the news and to see other pictures of this and other upcoming collections go check out Pretty & Polished on Facebook and Instagram!